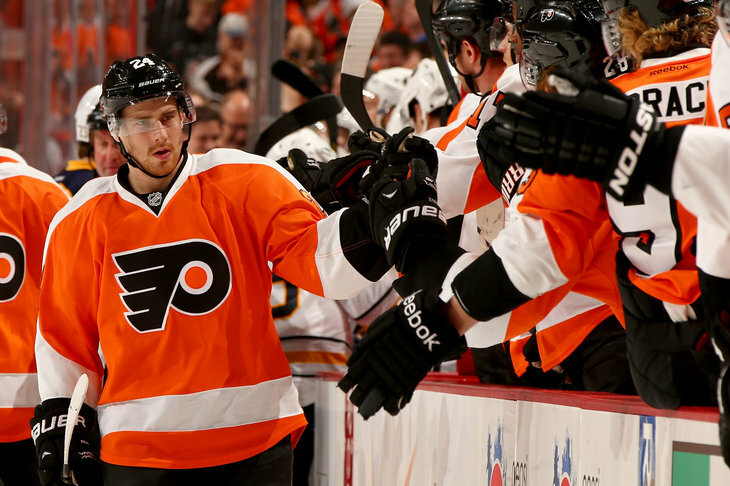 Sunday night in the Wells Fargo Center, the Flyers defeat the Buffalo Sabres 5-2. The victory snapped a four game losing streak for Philadelphia as they had been struggling in the past few days. On Saturday, the Flyers ended a 165 minute scoreless drought thanks to Wayne Simmonds against the Boston Bruins. However, that game was the Flyers’ fourth loss in a row. Fans began to fear that the team would crash and burn as they came so close to clinching a spot in the playoffs. A game against the NHL’s worst team, the Sabres, proved to be a much needed win for the Flyers as there are other teams right behind them in the standings. Columbus sits just two points behind the Flyers while the Rangers sit just two points ahead of Philly. The Flyers have one game in hand over the Rangers so there is still a chance to overtake them for second place in the Metropolitan Division. Philadelphia has just four games remaining starting with Florida on Tuesday night. The magic number for the Flyers to clinch a playoff berth is at four points which means that just two wins out of their next four games would get them in the playoffs. “Clutch Time” couldn’t apply more to the Flyers’ situation as every game in the final stretch counts immensely towards Philadelphia’s push for the playoffs.